Pokar Traders Established in 2009, POKAR TRADERS is a Professional managed organization of experience in the Aluminium trading. our mission is to achieve full satisfaction of our clients by providing them prompt service and quality products. We are authorized dealers of (ACP Sheets) Aludecor Lamination pvt ltd Alstone silicone & many more Our Expertise of dealing with various industries and aluminium products of international standards helps us to meet client requirements with ease. We can coordinate with finishing processors for Anodizing, Powder Coating and Aluminium fabricator who can directly handle your orders as per your specific requirements. We have Strong dealer network and infrastructure to serve. Our Infrastructure & Network We have ready available stock of various aluminium section stored at our 3000+sqft shop at Mahadwar Road & 3000 sqft of work shop. We can develop new sections for various applications as per the specific requirement of the customer Good Network for surface treatment like natural anodizing, powder coating. Network of Fabricators who can handle your fabrication needs. We cover various Architects, Engineers, Builders & Developers in surrounding region of Karnataka, Maharashtra & Goa. 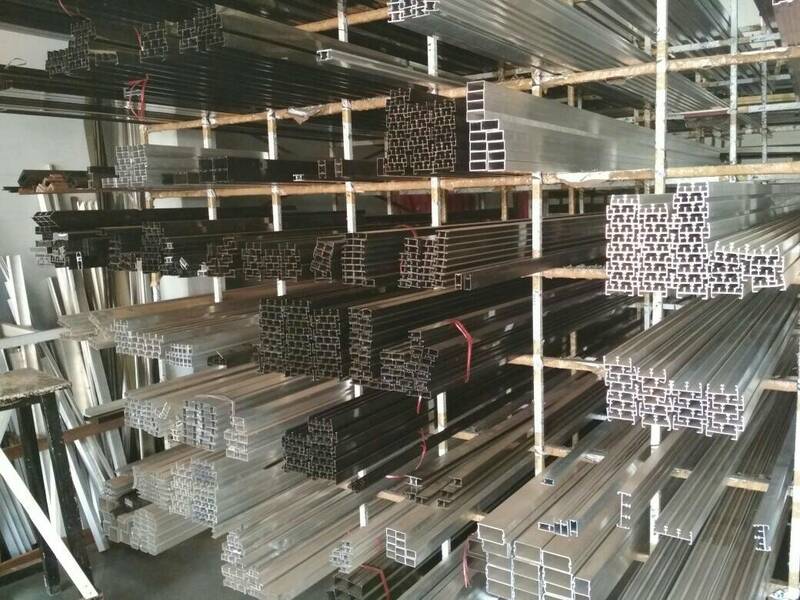 Deals in We mainly Deal in Aluminium extruded sections, Silicon, ACP Sheets, Ladders, Patch fittings, Bearings, Floor Spring & all the hardware required for Aluminium based work. We offer appx 13000 profiles of different extruder to meet almost every end application like architectural, industrial, automobile, aviation, engineering, transport, marine, electrical, electronics and more.